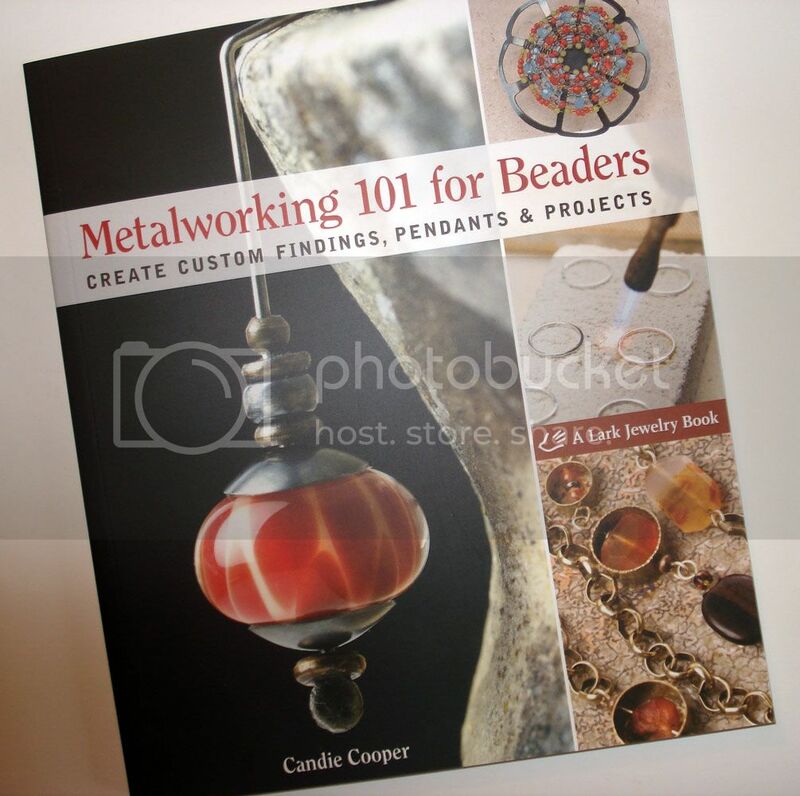 Today, I want to show you the 2nd book I received from Lark Books – Metalworking 101 for Beaders by Candie Cooper. This book is not your typical beading book! 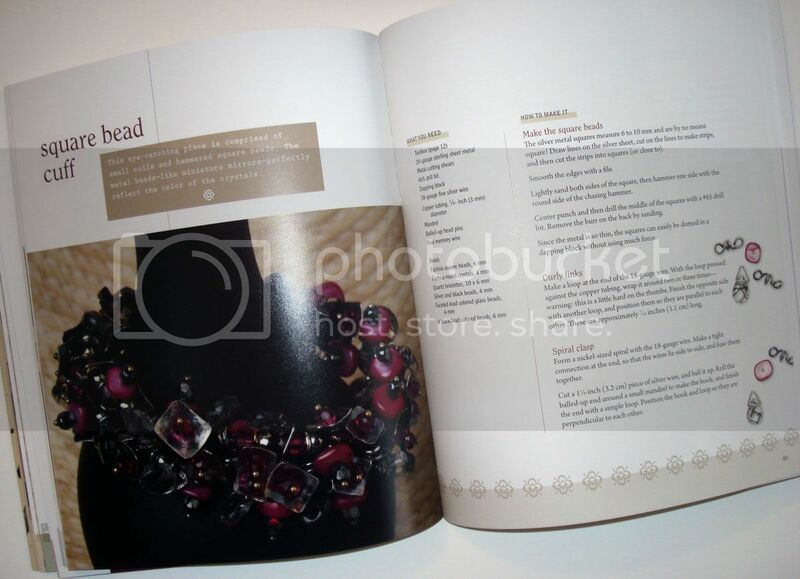 This book provides instructions for how to create your own metal findings to incorporate with your beadwork. In addition to beads, you will need basic metalworking tools such as a jeweler’s saw, flexible shaft, bench pin, center punch, scribe, divider, & pliers (just to name a few). You will also learn basic metalworking techniques such as marking, sawing, smoothing, texturing, forming, & assembling. 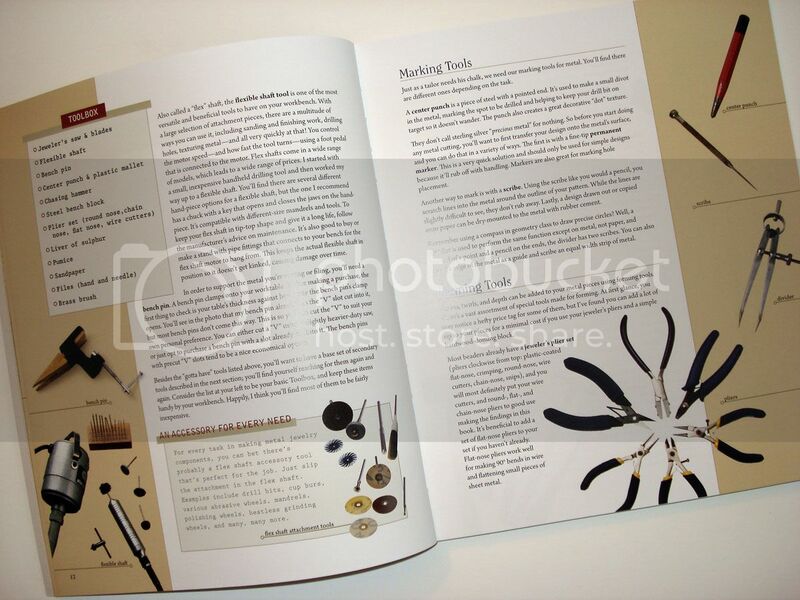 After you master these techniques, you will be inspired to create beautiful metal findings! 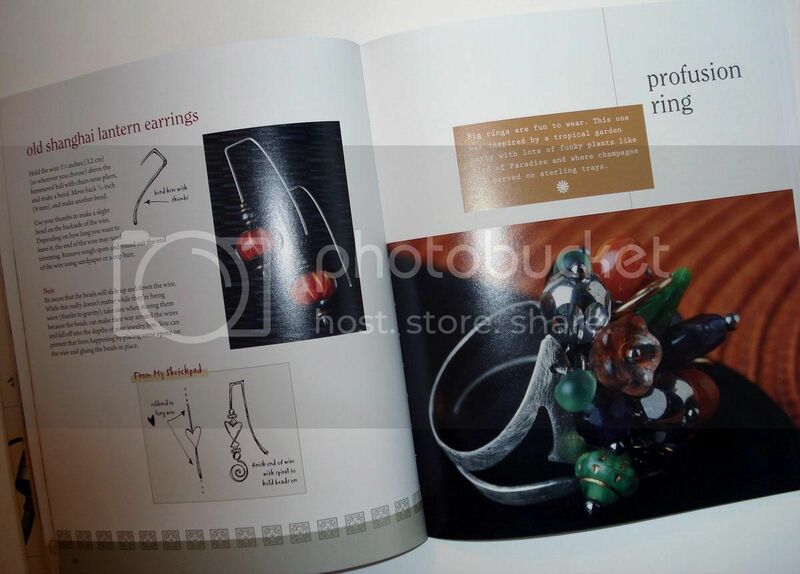 Projects include necklaces, bracelets, rings & pins. These are easy to understand with clear photos & illustrations. 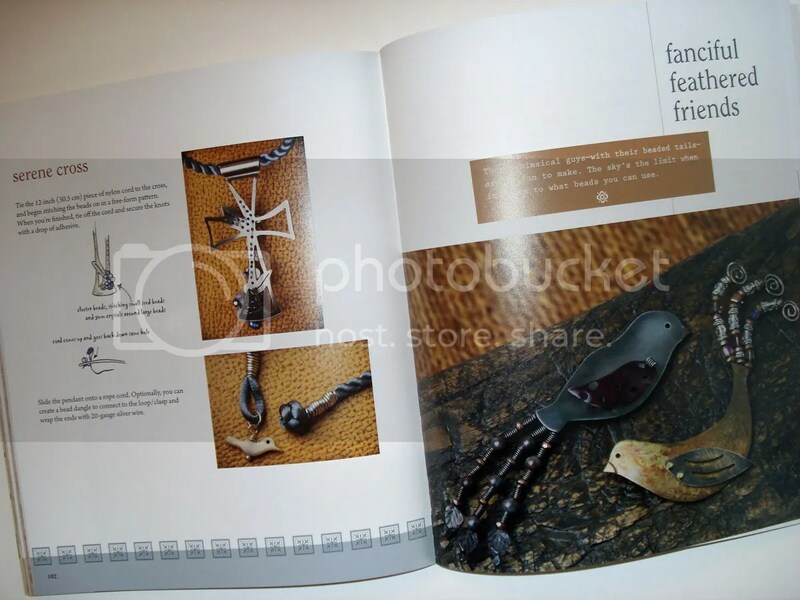 Here are just a few of my favourite projects in the book..